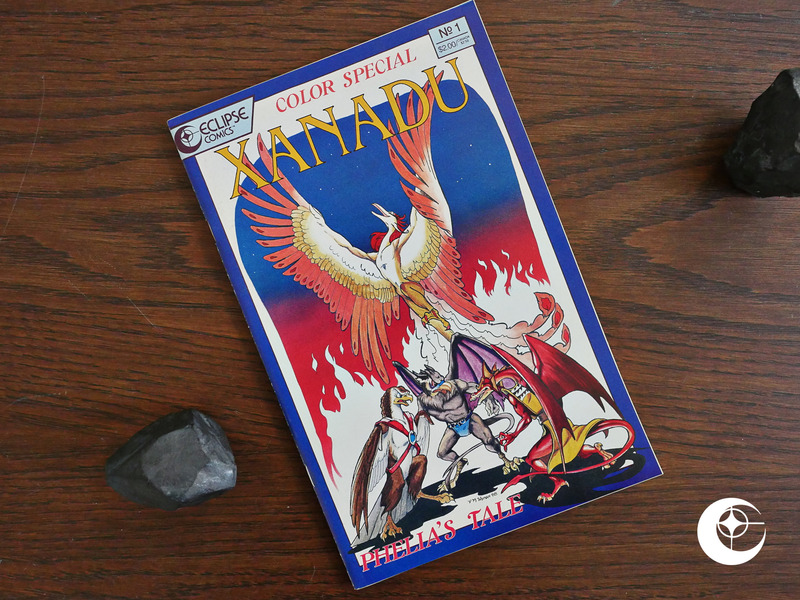 Xanadu Color Special (1988) #1 by Steve Gallacci, Vicky Wyman et al. I guess this is published by Eclipse comics because Lex Nakashima is the “conceptual editor” here, and Eclipse had published a few of his other series, like Fusion. And the writer on that book was Gallacci. Anyway, before we have a peek at the book, cat ⊕ yronwode’s editorial here reminds me of my methodological problems with this blog series: I’m trying to do the comics in chronological order, but determining what that is has proven to be difficult. I’m using the comics.org data set as a baseline, and only diverging from that when it’s obviously wrong. Like here in this book, which is purported to be published in December of 1988, the editorial talks about journalists interviewing yronwode about Brought to Light, which according to the indicia of that book (and comics.org) was published in 1989. And a lot of books, especially for the next couple of years, don’t have any information about the month they’re published in, so I’ve been trying to go by the “on the stands” part of the column, but, for instance, it will says that Pogo #1 is “on the stands” in April, and then again in December. 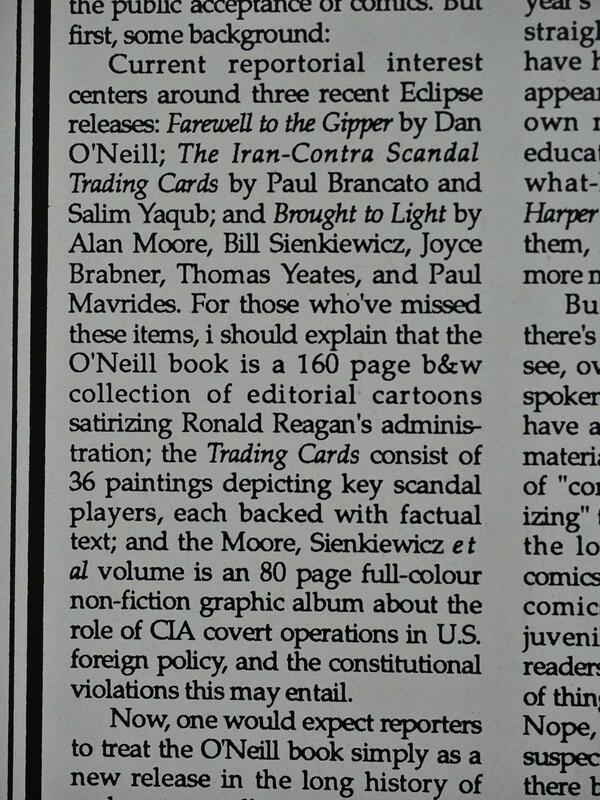 The column will also list many books that were never published at all as being “on the stands”, so it’s all rather confusing. MY OCD SENSE IS TINGLING! In this colour special, we’re apparently dropped into whatever drama is going on in the non-colour non-special bits of the Xanadu series, but we’re being “as you know, Bob”-ed through the introduction. But then that turns out to just be the framing for the main story, which is all about a phoenix and is apparently not part of the storyline? I guess that makes sense? Anyway, it’s not a very compelling story. You’ve got the wise leader and the evil advisor, and things happen pretty much as you’d expect. Wyman’s artwork is competent and clear, but not particularly thrilling. 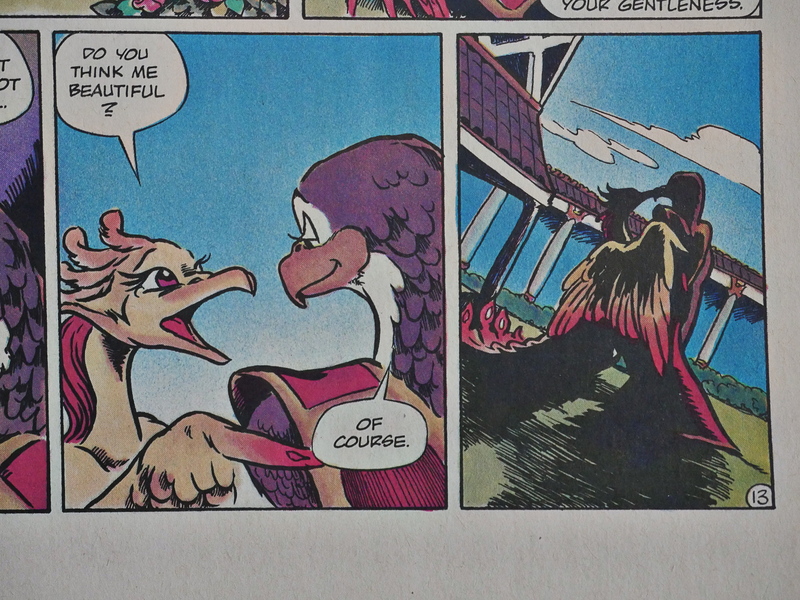 And perhaps it’s just me, but seeing birds kiss is a bit on the weird side. 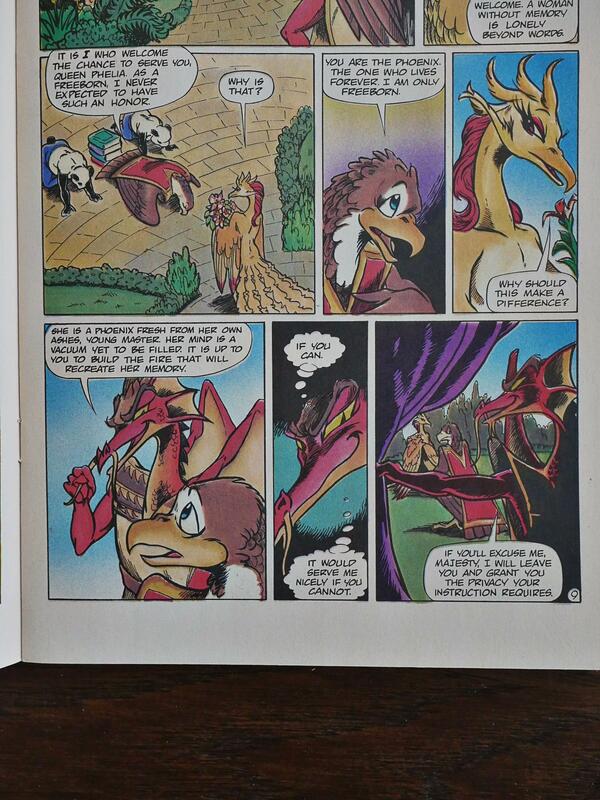 None of the Xanadu stuff has been reprinted, apparently? 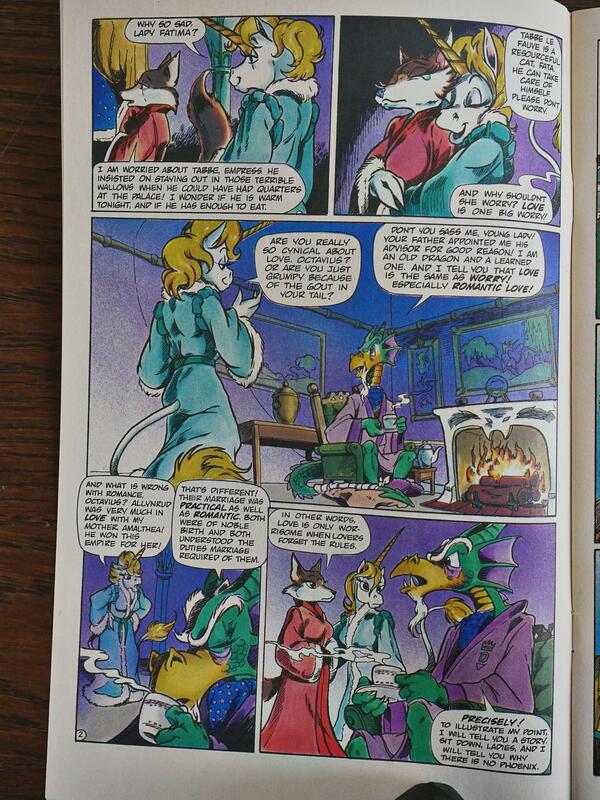 But that’s kinda normal for Gallacci’s stuff: He was enormously popular in the 80s, but then he kinda tapered off, and left all his various storylines unfinished. Unfinished stories aren’t very attractive when doing reprints. I am so sorry to hear of Vicky’s passing. Please for the love of all that is good. REPRINT Xanadu!